Are you looking for the best and powerful photography apps for your iPhone? If yes, here's something interesting for you. 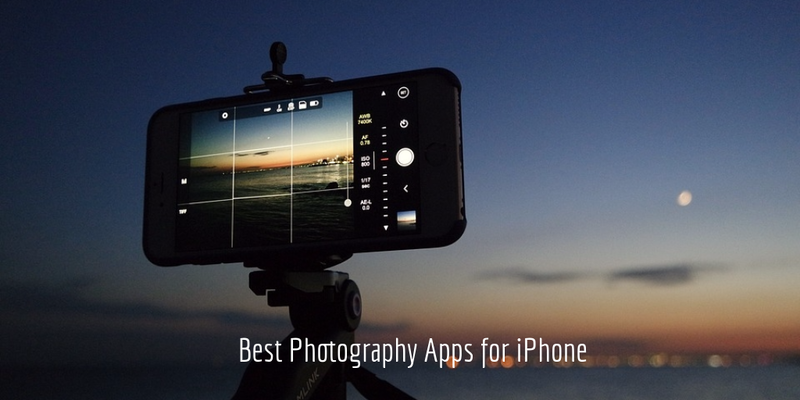 You can see here 30 best photography apps for iPhone, the complete list of iPhone photography apps- from taking photos to editing photos and making collages. With the help of these best photography apps, you can shoot, edit or organize your photos with ease and produce pro quality photos with your iPhone. 1. 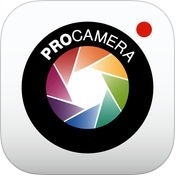 ProCamera ( iPhone + Apple Watch ) :- If you want to become a professional photographer, you should use ProCamera app on your iPhone and Apple Watch. 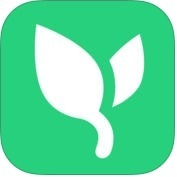 ProCamera app has lots of advance and unique features such as a highly intuitive interface for beginners as well as an attractive array of DSLR-like controls for experts, vividHDR & lowlight (in app purchase), allow fast and intuitive control in photos and videos mode, pro control when required, HD & 4K Video, special camera modes, photo editing with 80 filters and many tools, full resolution photo preview & metadata viewer, share options, square & widescreen and, much more. 2. 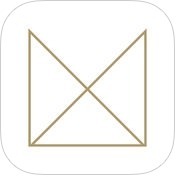 Manual – RAW custom exposure camera ( iPhone ) :- Do you want to use powerful camera app on your iPhone with RAW in DNG format and full control of exposure? 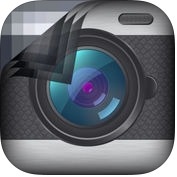 If yes, you can download Manual - RAW custom exposure camera app on your iPhone. This photography app has several amazing and powerful features such as full RAW DNG capture, live monitor automatic exposure values, live histogram, level, photos save directly to Camera Roll, Focus zoom, Fill Flash Mode, Grid Overlays, EXIF viewer, Light & Dark Themes and more. 3. 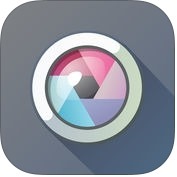 Camera+ ( iPhone + Apple Watch ) :- Camera + is one of the best and advanced apps for iPhone and Apple Watch. With the help of Camera+ app, you can easily control how light or dark your shots come out, you can find to choose from several scene modes including food, sunset, night, portrait, beach etc, you can also make your photos shimmer with HDR. 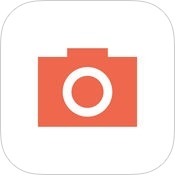 This photography app has lots of fantastic and user-friendly features such as touch exposure & focus, shooting modes, digital zoom, horizon level, clarity analyzes your photos and make several excellent adjustments, scene modes, lightbox, share, iCloud lightbox sync, caption and, much more. 4. 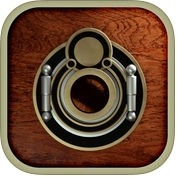 Enlight ( iPhone + iPad ) :- Enlight is powerful photoshop-like app, with advanced features app for iPhone and iPad. 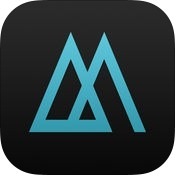 It is the most comprehensive highest quality photo editing and user-friendly phtography app. Enlight app has lots of amazing and attractive features such as image perfection, analog & duo filters, balck & white photography, add artistic touches with film intensity, grain or fade, transform your photos into realistic looking sketches, decorative touches, photo mixer, intelligent photo correction, power tools, universal masking for precise control over every effect, design unique photo collages with a variety of templates and you can also share your amazing results to directly to social networks. 5. 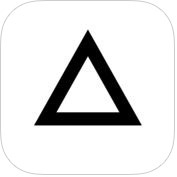 Hipstamatic ( iPhone + iPad ) :- If you want to shoot attractive and fantastic photos and become a professional photographar, you can use Hipstamatic app on your iPhone and iPad. 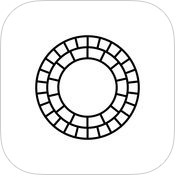 With the help of this photography app, you can manually control focus, white balance, exposure, shutter speed, you can customize and edit presets, you can synchronized across your device with iCloud and, you can also share any favorite preset with other photographers. Hipstamatic app has more than 20 professional adjustment tools and 12 signature presets such as classic lens, film & flash, clarity, shadows, fade, tint, texture etc. 6. Facetune ( iPhone ) :- If you want to use a powerful portrait & selfie photo editor and photography app on your iPhone, you can download Facetune app. With the help of Facetune app, you can shoot beautiful and attractive photos, and be a perfect professional photographer. Facetune has lots of amazing and user-friendly features such as perfect smiles like-widen or refine your smile, beautiful skin like-remove temporary imperfections-pimples & blemishes, brighten dark circles under your eyes, emphasize your eyes for a penetrating gaze, hair salon, reshape facial structure, vivid makeup, photo enhancements and more, With the help of this photography app, you can apply any shade of blush and eye shadow, you can create customized filters, you can add unique textures and customizable frames, you can rotate the photo or flip to its mirror image, you can add artistic touches to make your photo your own and, you can also share your edited photos with your friends or family via social networks or email. 7. 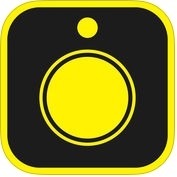 Cortex Camera ( iPhone + iPad ) :- Cortex Camera shoot beautiful and great low light iPhone photos with DSLR. Cortex Camera app has several powerful features such as advanced image processing techniques combine information from multiple frames to remove noise and increase resolution, motion comensation enables hand-held long exposure photography, uses RAW data as input to increase sharpness, supports JPEG or TIFF file formats, supports grid overlay, shutter and timer and, much more. 8. 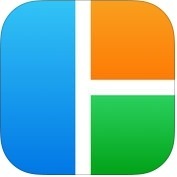 TouchRetouch ( iPhone ) :- Do you want to remove unwanted items from your images? If yes, you can use TouchRetouch app on your iPhone. With the help of TouchRetouch app, you can remove photobombers, pimples and skin blemishes, you can remove human-made objects like stop lights, street signs, trash cans, you can remove whatever you feel is spoiling your photos, you can make unwanted objects vanish right before your eyes by just marking them, you can touch any minor blemish once to remove it foreve and, you can also use single-flick line removal. 9. 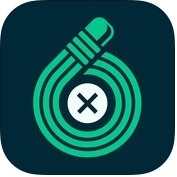 SKRWT (iPhone + iPad ) :- SKRWT is one of the best, powerful and professional photography apps for iPhone and iPad. With the help of SKRWT app, you can correct horizontal and vertical lines as well lens distortions for shots taken with adapters, DLSRs, with a GoPro or a drone camera, you can work manually work one or more corner points of your images and, turning perspective correction into a fully intuitive manipulation process. It is a hands-on approach to professional photo transformation. 10. 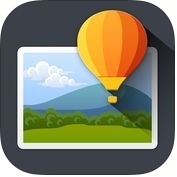 Superimpose ( iPhone + iPad ) :- With the help of this photography app, you can create professional grade superimposed photos on your iPhone, you can load a background image and foreground image, you can move, scale, resize, rotate, flip the foreground to place it on the right location on the background image, you can mask out unwanted portion of the foreground image using wide range of masking tools, you can adjust the colors, exposure, contrast, hue, saturation etc of the foreground and the background images and, you can also use this tool to do serious photo editing tasks like blending textures or overlaying borders or to do double exposure with adjustable transparency and 18 blending modes. 11. Mextures ( iPhone + iPad ) :- With the help of Mextures app, you can apply film grain, textures, light leaks and beautiful gradients to your photos in few seconds, you can make changes to your photos at anytime during your editing process, you can edit your photo with adjustments and then save, you can share your photos with your friends, you can adjust your photos with precision and powerful tools like exposure, tint, fade, highlights or shadows, saturation etc, you can save your edit to use over and over again with formulas, you can share your formulas and, you can also stack a virtually unlimited number of layers for beautiful blending effects. 12. TinType by Hipstamatic ( iPhone ) :- TinType by Hipstamatic is one of the amazing and powerful featured photography app for iPhone. With the help of TinType by Hipstamatic app, you can create fantastic and soul capturing portraits, you can edit right from the photos app with a photo extension, you can revert back to the camera raw file anytime and, you can also easily share with your friends through Facebook, Instagram, Twitter and other social networks. 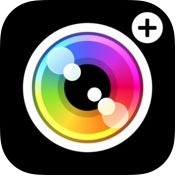 This photography app has lots of unique features such as authentic effects like classic black & white, hand-painted color and sepia stained, fully customizable effect controls, full frame or square format, capture images or import from your photo library and, more. 13. 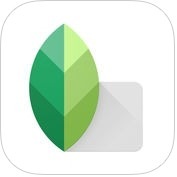 Snapseed ( iPhone + iPad ) :- If you want to use a complete and professional photo editor app on your iPhone and iPad, you can use Snapseed app. This photography app has lots of advance and user-friendly features such as 26 tools and filters like healing, brush, structure, HDR, trasnform, RAW develop, tune image, white balance, vignette, glamour glow, HDR scape, add a beautiful Bokeh to images & ideal for photographic portraits, get modern film looks with realistic grain, add frames with adjustable size and, more. 14. 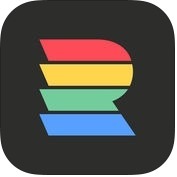 Pic Stitch - #1 Photo and Video Collage Maker ( iPhone + iPad ) :- If you want to combine multiple photos and videos into one beautifully framed pictiure, you can use Pic Stitch Photo and Video Collage Maker app on your iPhone and iPad. This photography app has several effective and usful features such as more than 300 different layouts, works with photos and videos, add music to your collage, customize photo borders, easy to use UI, fantastic photo fix filters, more than 15 different photo aspect ratios, high resolution export and, you can also export to Dropbox, Instagram, Evernote and, you can share onto Facebook, Twitter, Instagram, Path and more. 15. 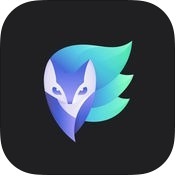 Fabby — Photo & Video Editor ( iPhone + iPad ) :- Fabby is one of the best and powerful featured photo & Video Editor apps for iPhone and iPad. With the help of this photography app, you can select from more than hundreds of masks, backgrounds, makeup, designs and other creative effects. 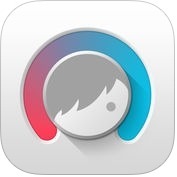 Fabby has lots of amazing and user-interface features such as hair coloring & makeup, digital beautification, fun video backgrounds in real time to complete looks virtually before taking a video, AI-Powered, add a background blur effect, ful-screen camera mode for SnapChat & Instagram stories and, you can also turn selfies into a professionally designed portrait. 16. 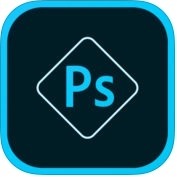 Adobe Photoshop Express:Photo Editor Collage Maker ( iPhone + iPad ) :- Adobe Photoshop Express is one of the most trusted and reliable photo editor collage maker apps for iPhone and iPad. With the help of Adobe Photoshop Express app, you can upload files from your device, creative Cloud, Dropbox, Facebook or Google Photos, you can choose from auto-suggested collage outputs to save time in creating a collage, you can pick any photo in the collage and edit it, you can change border thickness and color, you can hold and drag to swap photo position, pinch to zoom in or out, you can create and save your own looks, you can import and edit photos in raw formats, you can easily add custom text or graphical watermark on images and, you can also use Photoshop Express to touch your way to better-looking iPhone pictures. 17. Pixlr - Photo Collages, Effects, Overlays, Filters ( iPhone + iPad ) :- Pixlr is very popular and powerful photo collages, effects, overlays, filters app for iPhone and iPad user. With the help of Pixlr app, you can create photo collages with a variety of choice for layout, background, and spacing, you can make your selfies beautiful with simple tools to remove blemishes and red-eyes or to whiten your teeth, you can capture any moment and make beautiful with more than 2 million combinations of free effects, overlays and filters, you can share your finished work directly to Instagram, Facebook, Twitter and other social networks, you can mask your photo with captions or overlay it with text and, you can also focus on one color with color splash or add impact with focal Blur. 18. 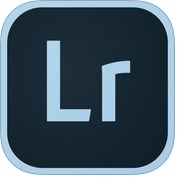 Adobe Lightroom ( iPhone ) :- With the help of Adobe Lightroom app, you can create stunning images in few seconds with tools that range from simple one-tap presets to powerful advanced adjustments and corrections, you can capture photos using the DNG file format using the in-app camera, you can edit photographs and get consistent looks in your photos by copying your favorite edits across photos, you can share photos any way you want like Instagram, Facebook, Twitter, and other social networks, you can import, edit and sync RAW photos from your camera, you can sync your photos across Lightroom on all your devices and, you can also access all your Lightroom photos in photoshop Mix, Photoshop Fix, Spark video and more. 19. Photo Editor by Aviary ( iPhone + iPad ) :- If you want to make beautiful photos like professional in seconds, you can use Photo Editor by aviary app on your iPhone and iPad. This photo editor app has lots of advance and powerful features such as touch-up selfies with teeth whitening, enhance with Hi-Def, scenery, portrait & night, get creative with stunning stickers, frames and overlays, add drama with sharpness, draw, add text and create your own memes, you can adjust saturation, warmth, tint & fade, high resolution output on saved images and, you can also expand your photo editing options with hundreds of professionally designed effects, frames and stickers. 20. 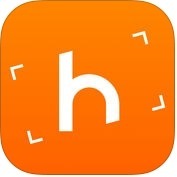 Horizon Camera ( iPhone + iPad ) :- With the help of Horizon Camera app, you can record horizontal videos, even while holding your iOS device in portrait mode, you can add filters, shoot with the back or front camera and share your creations, you can help bring an end to the vertical videos syndrome. Horizon Camera photography app has lots of fantastic and user-friendly features such as capture horizontal videos & photos, multiple resolutions, three leveling modes, HDR photos, tap and hold to slow down your 120 FPS videos, AirPlay mirroring while recording, video library with clever item selection, 8 fun filters, select video quality to save space and, more. 21. Lifecake. 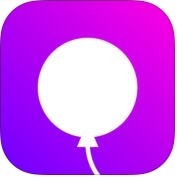 The private place for families ( iPhone + iPad ) :- If you want to share of baby pics and other childhood moments privately in a visual timeline, you can use Lifecake app on your iPhone and iPad. With the help of this photography app, you can print your kids on photo packs, phone cases, posters, fridge magnets, and more, you can slide to any age in the photo album, you can add photos from your iPhone, iPad, PC, Dropbox, Facebook etc and, you can also make stunning HD photobooks with rich-quality. 22. VSCO ( iPhone + iPad ) :- With the help of VSCO app, you can edit your photos with film-inspired filters and professional images tools, you can crop photos, adjust lighting, fix temperature & tint, add shrpness, fade, skin tone, clarity, saturation, and more with manual adjustments and, you can also transform your photos into something amazing and express yourself creatively. VSCO app has several user-friendly features such as film-like presets give your pics a rich-quality, professional film look, RAW editing, including high-resolution images, easily capture moments with the in-app camera, including manual controls and more. 23. Prisma: Photo Editor, Art Filters Pic Effects ( iPhone ) :- Prisma is one of the best and unique featured photo editor, art filters pic effects apps for iPhone. With the help of this photography app, you can turn your photos into awesome artworks, you can transform your photos into artworks using the styles of popularartists like Munk, Picasso as well as world famous ornaments and patterns. Prisma app has several awesome features such as modern art filters, fast sharing, unique GeoFeed, Stunning photo effects and more. 24. 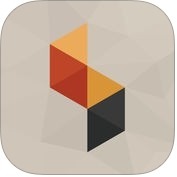 Filmborn ( iPhone ) :- Are you looking one of the best and unique photography app for your iPhone? If yes, you can use Filmborn app on your iPhone. Filmborn app has unique and user-interface features such as with film live-prrview, gesture-controlled white balance and exposure, true-to-film presets, highlight clipping, custom curves, batch editing and, much more. 25. RNI Films ( iPhone ) :- Do you want to become a perfect professional photographer? If yes, you can use RNI Films app on your iPhone. It is the most ideal mobile companion for any photographer to bring the authentic character and color of 35 mm film stock in their digital photos. RNI Films has lots of advance features such as great attention to general accuracy, color separation, skin tones, grain texture, filters, color harmony and subtle artistic flair of analog photography into your digital workflow, additional filter packages can be added through in-app purchase and, more. With the help of RNI image adjustment tools, you can crop and rotate, alter the brightness, contrast & color, enhance shadows and highlights, add vignette and film grain and, much more. 26. 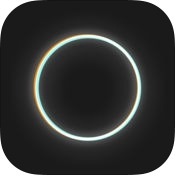 Polarr Photo Editor - Photo Editing Tools for All ( iPhone + iPad ) :- Polarr Photo Editor is one of most advanced professional portrait and landscape photography apps for iPhone and iPad. Polarr Photo Editor has lots of powerful and user-interface features such as advanced suite of face-editing tools, create customize and share your own filters, complete set of color masking and brushing tools, multiple local and brush adjustments, batch export with filters, photos extension, customizable theme and, you can also edit every detail of your photo. 27. 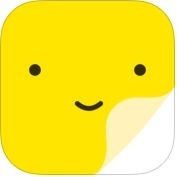 Sticky AI ( iPhone + iPad + iMessage ) :- With the help of Sticky AI app, you can create your own selfie-stickers incredibly fast and, make your chats in messengers and other social networks even funnier, you can create still and animated stickers, save them to the sticker pack and, you can also share easily to your conversations. Sticky AI has several features like-awesome comic and cartoon-like styles, bright and colorful backgrounds, simple and clean user interface and, more. 28. 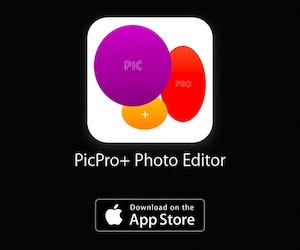 PicsArt Photo Studio: Collage Maker & Pic Editor ( iPhone + iPad + iMessage ) :- PicsArt Photo Studio is one of the best and user-friendly collage maker & pic editor photography apps for iPhone and iPad. PicsArt Photo Studio app has lots of awesome and unique features such as collage maker & grids, photo editor includes tools like create cutouts, stretch, add text, artistic photo filters (HDR), frames, background and more, free stickers, clipart & sticker maker, drawing camera includes customizable brushes, layers and professional drawing tools, photo remix and free-to-edit images, creative contest and photo challenges and, more. With the help of PicsArt, you can make double exposures using layers with adjustable transparency and, you can also create memes by applying text on free-to-edit pictures, pictures from friends or your own pictures. 29. 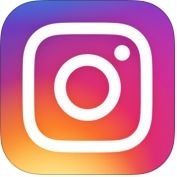 Instagram ( iPhone + Apple Watch ) :- If you want to capture and share the world's moments, you can use Instagram app on your iPhone and Apple Watch. With the help of Instagram app, you can post photos and videos on your profile grid and, edit them with filters and creative tools and combine multiple clips into one video, you can share multiple photos and videos to your story, you can send disappearing photos & videos, text messages and posts from your feed to groups and friends, you can also watch stories and live videos from the people you follow in a bar at the top of your feed. It enable Handoff to switch between your Apple Watch and your iPhone. 30. 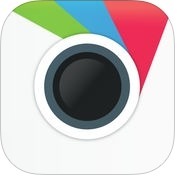 Google Photos - unlimited photo and video storage ( iPhone + iPad ) :- Google Photos is one of the best photography and unlimited photo & video storage apps for iPhone and iPad, that keeps your photos save, secure and private. 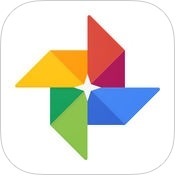 Google Photos has lots of powerful and unique features such as back up unlimited photos & videos, up to 16 megapixels and 1080p HD, free up space, visual search, smarter, instantly share up to 1,500 photos with anyone, motion stills, smart automatic albums, advanced editing, rediscover and, more. With the help of Google Photos app, you can get automatically created movies, collages, GIFs, panoramas and, you can also view your photos and videos on your TV with chromecast and Airplay support.